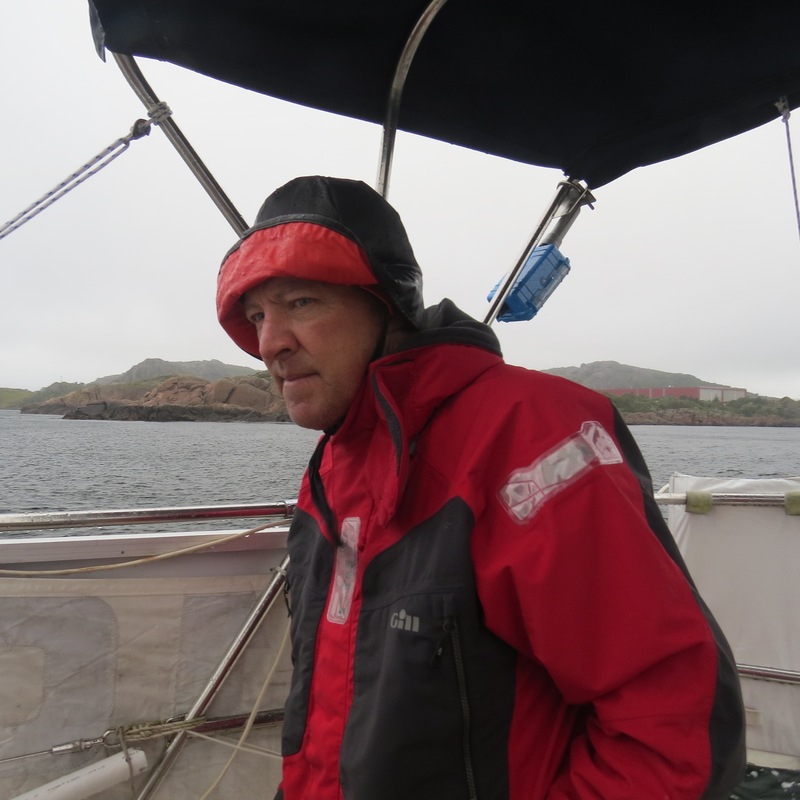 Donning our foul weather gear complete with Norwegian rain hats, we left the home port of Max’s Norwegian family to begin our 310-mile sail back to the Netherlands. There were no surprises. 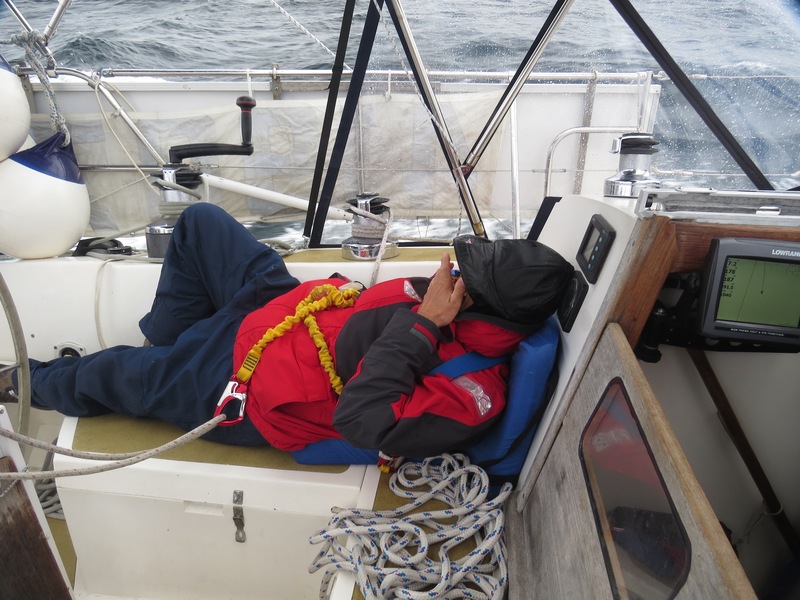 We realized the passage would be a rough ride, but the winds were in the right direction (NNW). Additionally, we might not have had another favorable weather window for a while. The result? The now-typical experience of jostling seas. With flexible watch schedules each of us napped during the day but not without sustenance as I fed the captain crackers slathered with peanut butter. 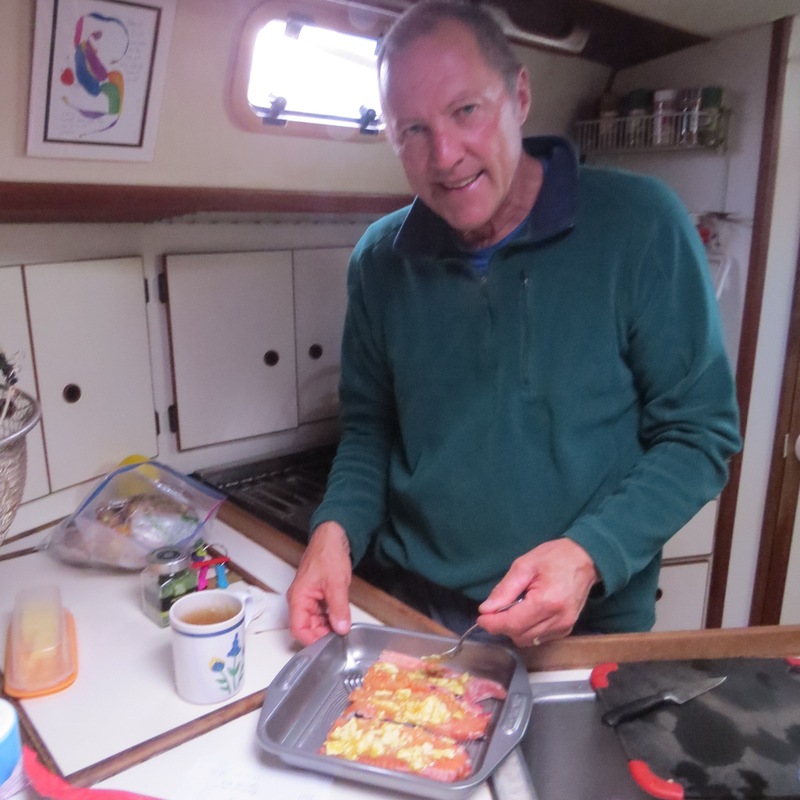 The better meal was partaking of the freshly caught salmon Oddbjoern gave us the day before, which made for several delicious meals. 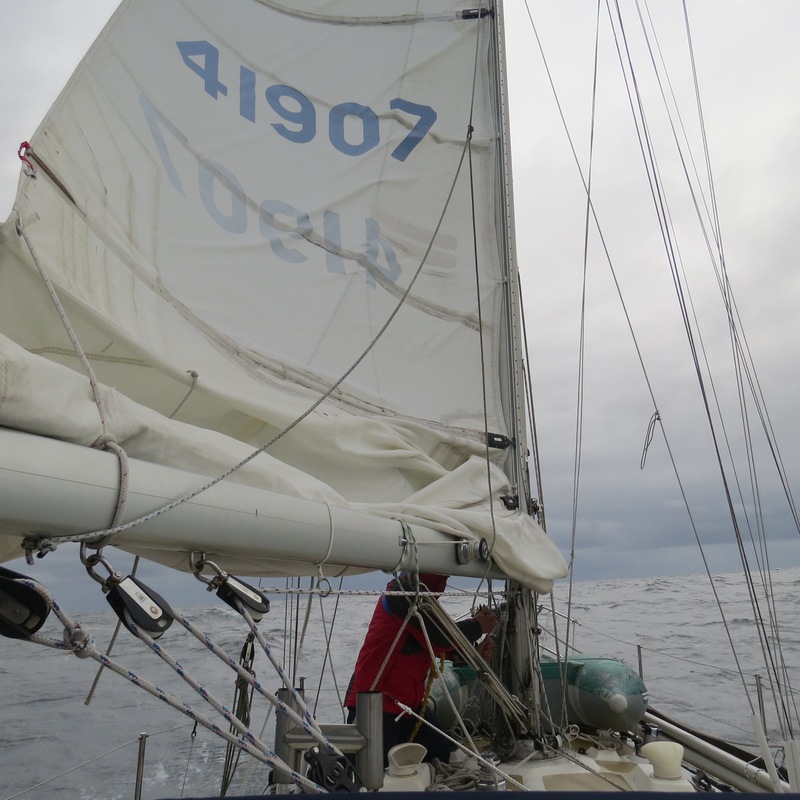 With a second reef in the main sail and no jib we still managed to average over 6 knots as we continued our push south. Finally sun greeted us on the third morning, and the seas slowly lessened as we neared the Netherlands’ outer barrier islands. 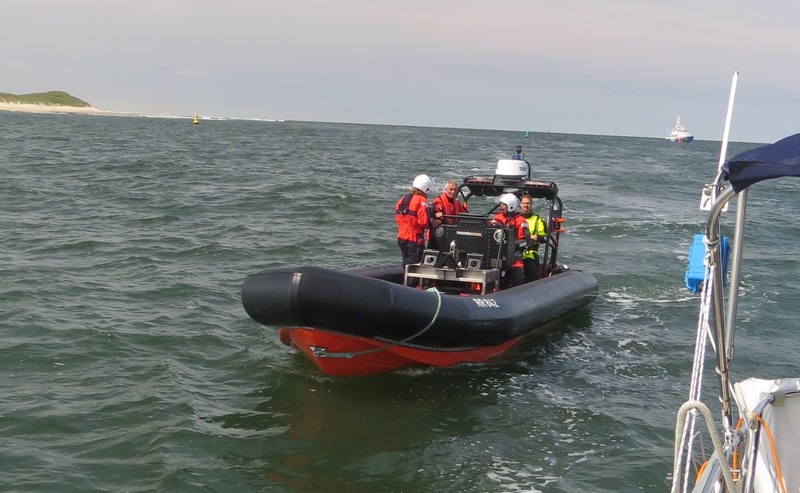 Upon sighting the welcome dune-scape of Vlieland we noted a coast guard boat patrolling the area. Whenever we spot one of those on our AIS (Automatic Identification System displaying boats within a certain radii from us) we keep watch to see if they slow down. 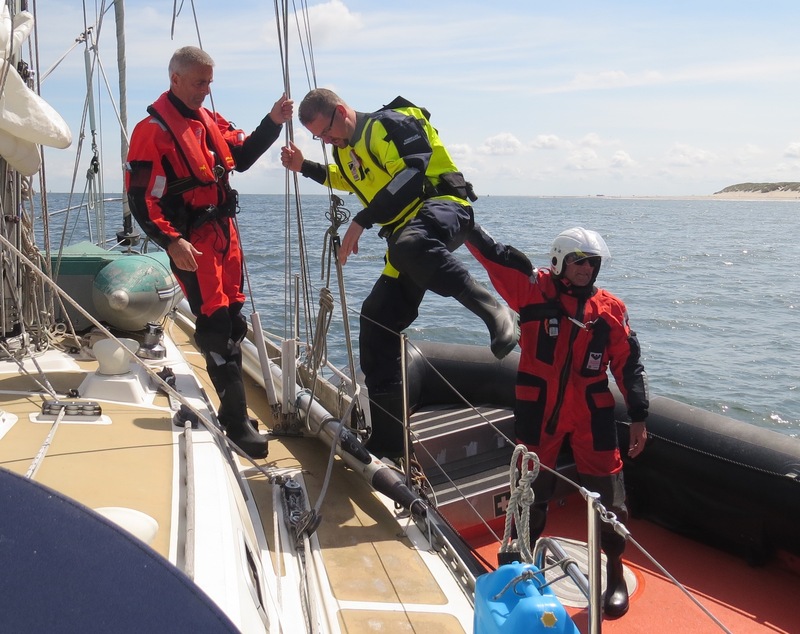 Similar to the other times, the Dutch border control treated us with professional courtesy while examining our ship’s papers and our passports. With a quick peek below they thanked us and hopped back on their craft to return to the mother ship. 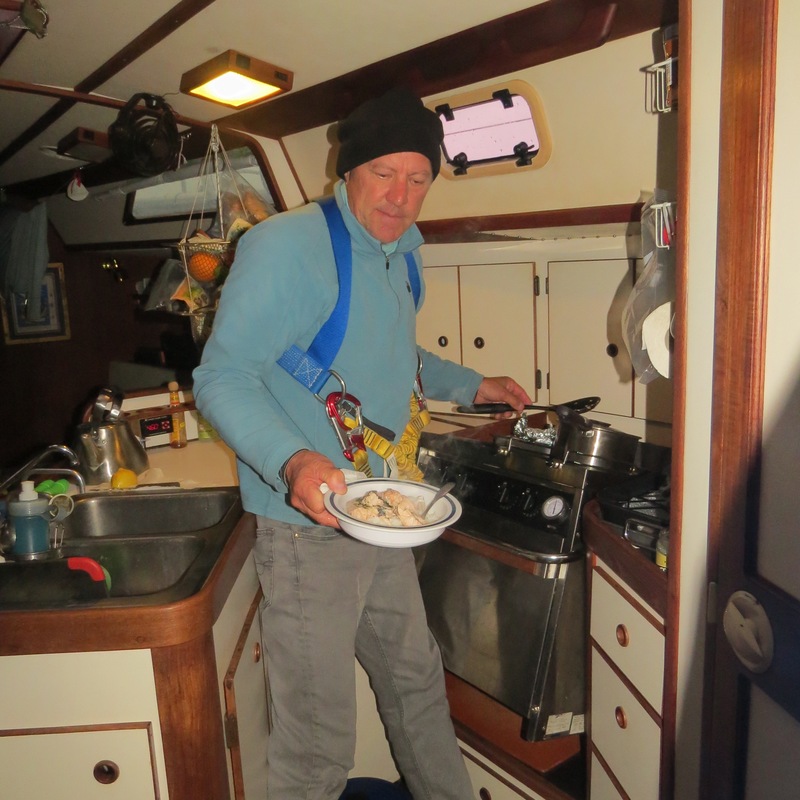 This entry was posted in 2016 07 Egersund to Vlieland, 2016 Passage, PASSAGES on July 29, 2016 by margaretlynnie.